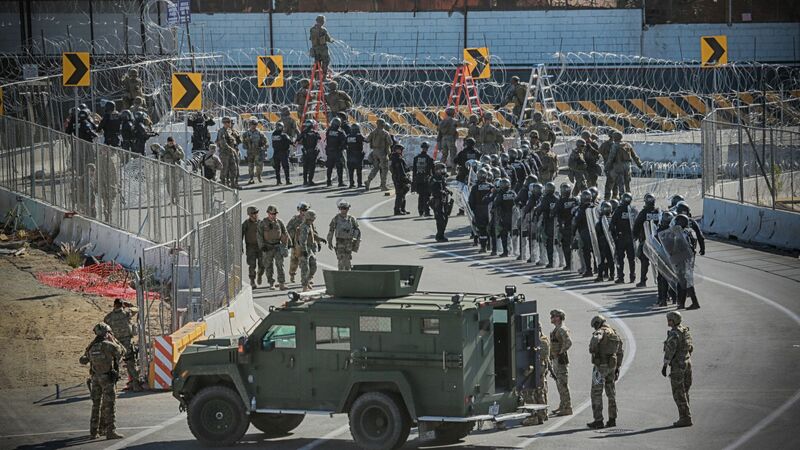 U.S. Customs and Border Protection has temporarily suspended pedestrian crossings in San Ysidro, a major port of entry between San Diego and Tijuana, Mexico, reports CNN. Details: The U.S. has deployed helicopters and additional border personnel as more than 5,000 migrants have set up camp in Tijuana, with many hoping to apply for asylum after traveling through Mexico via caravan, per AP. Hundreds of migrants reportedly attempted to jump or breach the border fence Sunday, prompting agents to respond by firing tear gas.